Join us as we venture through the Amazon in Ecuador. Known for being one of the most diverse plant and animal habitats in the world, the Amazon will provide us with an ultimate adventure! We will top off our trip by staying at the luxurious Napo Wildlife Center. The rooms are stunning with unforgettable views. 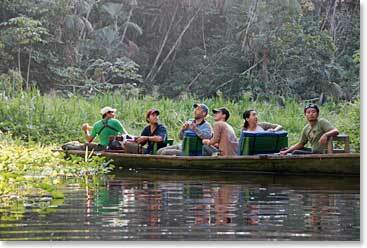 The Center is well known for its conservation efforts protecting and creating awareness in the Amazon. Stay tuned as we send daily dispatches of our activities and wondrous animal watching!